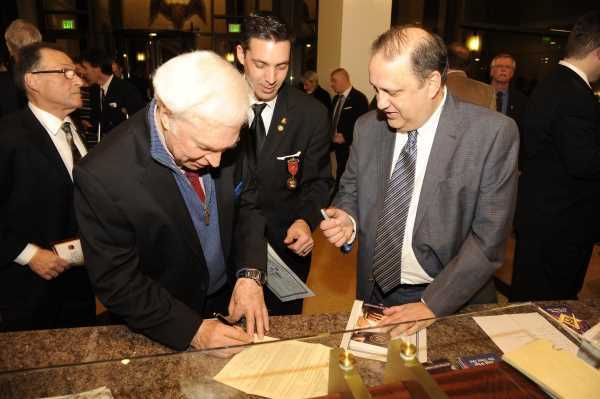 The mission of the Valley of Chicago’s Lodge Ambassador network is to introduce brethren from the many Blue Lodges across Chicagoland (see complete list below) to fellow Masons whom they otherwise might not have an opportunity to meet through the inspiring, convenient and enjoyable Scottish Rite experience. Two Lodge Ambassadors may be designated for each Blue Lodge to assist brethren in joining the Scottish Rite. 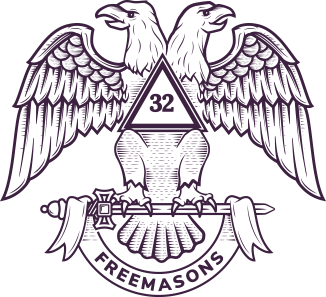 Although the Scottish Rite confers additional degrees with higher numbers and distinctive titles, there is no “higher” degree than that of Master Mason in all of Freemasonry, and Scottish Rite members comprise a vast network of active, dedicated Blue Lodge Masons interested in expanding the bonds of fellowship. These relationships between men of good character strengthen the fraternal chain and can last a lifetime. Above all, no candidate should ever have to miss a joining opportunity due to a delay in finding sponsors. If unable to locate sponsor(s) in time to participate in a Reunion or other joining opportunity (such as during the summer when many Blue Lodges go dark), a candidate may print a sponsor’s name on his petition and submit it. The Valley of Chicago will then seek to obtain the requisite signature(s) in a timely fashion. What are Lodge Ambassadors encouraged to do? Keep in touch with his Blue Lodge(s) and be willing to sponsor candidates who need petitions signed. Stay informed about the Valley of Chicago by subscribing to Scottish Rite News and Echoes e-mails. 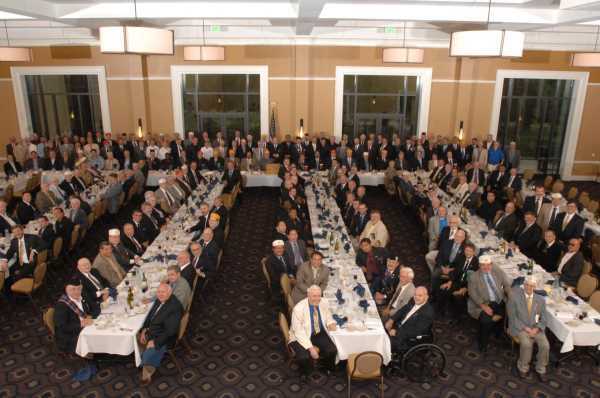 Whenever convenient, attend Scottish Rite events including fraternal, charitable and social activities. Suggest the name of a reliable successor in the event he becomes unable to perform these functions. It is a privilege to represent the Scottish Rite at the Blue Lodge level, and Lodge Ambassadors may request support materials such as membership brochures, magazines or videos. Lodge Ambassadors demonstrating exemplary performance are eligible for special recognition including membership awards for sponsoring candidates who go on to become active Scottish Rite Masons. (especially if it is among those not yet formally assigned one), please contact our Lodge Ambassador Coordinator, Joe Pegoraro, at 847-525-5858 or vocambassadors@gmail.com. * Names marked with an asterisk below have been tentatively identified as prospective Lodge Ambassadors based on their Blue Lodge and Scottish Rite membership status. If your name is listed with an asterisk and you’d like to be designated a Lodge Ambassador or suggest another lodge brother you think might be interested, please contact our Lodge Ambassador Coordinator.